Warm and clear weather expected in most parts of Tamil Nadu. Above normal day time temperature possible in Interior Tamil Nadu and Coastal areas will stay pleasant. Heat wave like conditions possible in Coastal Saurashtra and isolated places over Konkan. Thundersquall accompanied with hailstorm very likely at isolated places over Sikkim. A fresh Western Disturbance likely to affect western Himalayan region in next two days and Dry weather likely in most parts of the country. 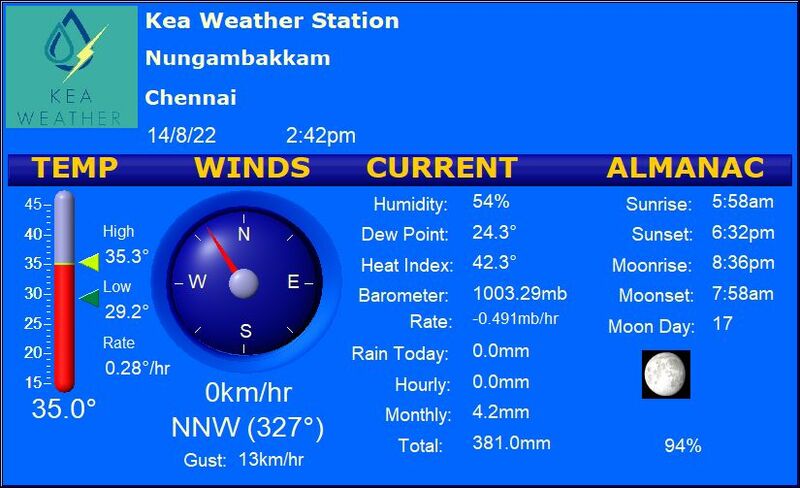 Chennai – Clear day with max temperature settling around​ 32c and min temp around 22c. Vellore – Warm and Sunny weather with max temp may touch 36c and min temp of about 18c . Trichy – Clear skies with maximum temperature around 35c and min around 22c. Madurai – Very warm and dry weather maximum temperature possible around 36c and min possible around 23c. Coimbatore – Warm and dry weather with maximum temperature may touch around 35c and min of about 21c.